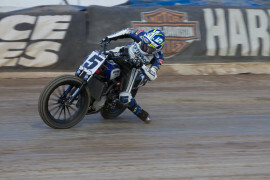 Jake Johnson started his professional Flat Track career with the Rookie of the Year award in 2002, going on to win the Grand National Singles Championship in 2006 and the AMA Pro Grand National Championship in both 2010 and 2011. Although he didn’t take the championship win in 2014, he was the most consistent rider of the year and the only rider to finish inside the top 10 in every main event throughout that season. 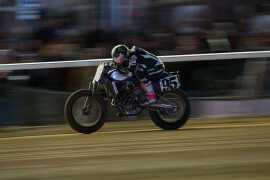 In 2015, Johnson competed in the X Games Harley-Davidson Flat-Track event, finishing in 5th place. 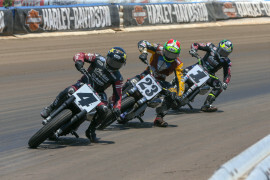 Riding the Indian Scout FTR750 for Estenson Racing for the 2018 American Flat Track season, Johnson has earned seven top-10 finishes. 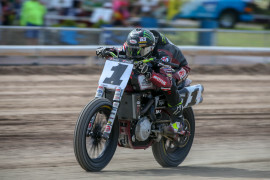 His first win of the season came at the Buffalo Chip TT where he put on a spectacular show, tracking down and overtaking current AFT Twins standings leader Jared Mees to take the victory. 2017 Jake Johnson, riding the Harley-Davidson XG750R for Harley-Davidson and Vance & Hines, had three top-10 finishes in the 2017 season. He earned one podium with a 3rd place finish at the Buffalo Chip TT. Finished 4th in GNC1 points, with 10 Top 10s including a win at Daytona II and a podium at the Peoria TT. 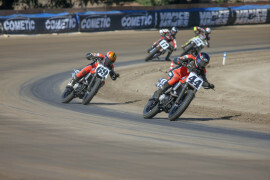 Raced for Zanotti H-D.
Made seven GNC1 mains, highlighted by two podiums (Springfield Mile II, Delaware H-M). 2014 Johnson was in the GNC1 championship hunt until the final checkered flag waved. One of the most consistent riders on the circuit, Johnson was the only one to finish inside the top 10 in every main event. He recorded eight podium finishes. 2013 Johnson earned two top fives on his way to a sventh place finish in the overall GNC point standings. Parted ways with Zanotti Racing halfway through the season to ride for Lloyd Brothers Motorsports. 2012 Didn’t defend his overall Grand National Championship but did manage to put together a successful season that consisted of 11 top 5 finishes. Rode his Harley-Davidson to four pole positions. 2011 Johnson won the GNC event with four wins. 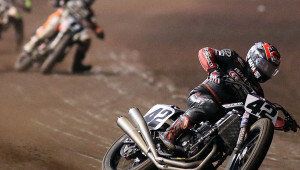 Johnson took wins at the LA County Fairplex, the Calistoga Speedway, the Illinois State Fairgrounds, and at the Salinas Sports Complex. He finished the season with 20 Top 10s, 17 of them being Top 5s. Raced with Zanotti Racing Honda/Harley-Davidson. 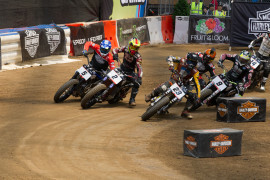 2010 Johnson earned the coveted AMA Pro Grand National Championship, going back to its tradtion prior to 2006. Earned three main event wins at Daytona Short Track, Springfield Mile May 30th, and the season finals at Yavapai Downs Oct. 9th. Johnson also podiumed eight times. Raced with Zanotti Racing team. 2009 Johnson earned two AMA Pro GNC Twin main event wins at Hagerstown and Springfield Mile Sept. 5th and earned a fourth place finish in the GNC Expert Singles at Springfield TT. 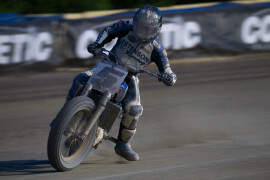 Raced in the AMA Pro National Hot Shoe Series with eigth-place finish at the Peoria TT. Raced with SuperTrapp F&S Saddlemen Racing team. 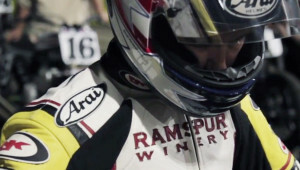 2008 Johnson raced in the AMA Grand National Twins Championship, earning two podium finishes. 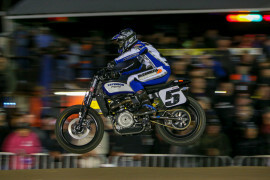 He raced in the AMA Grand National Singles winning the championship. Johnson took two wins at Daytona Beach, FL (Mar 5-6), and additional podium finishes at Springfield, IL, Billings, MT and Peoria, IL. Johnson raced in the AMA 450 Hot Shoe series with a podium finish in Savannah, GA. Johnson raced with American Suzuki team. 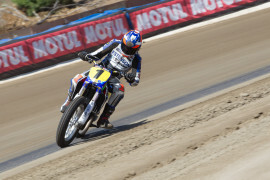 2007 Johnson raced in the AMA Grand National Twins Championship, earning three podium finishes. 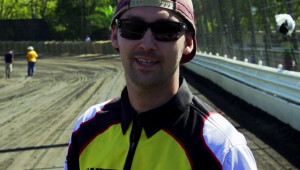 He raced in the AMA Grand National Singles, taking wins at Daytona Beach, FL (Mar. 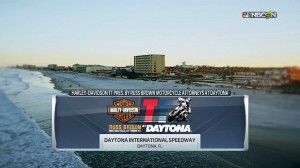 7), Springfield, IL, and Tucson, AZ, and an additional podium finish at Daytona Beach (Mar. 8). He entered select AMA National Hot Shoe races. Johnson raced with the American Suzuki team. 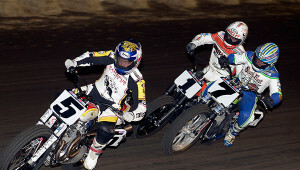 2006 Johnson won the AMA Grand National Singles Championship title with a win at the August 12th, Castle Rock, WA race, one additional series podium finish, and a string of top five finishes. 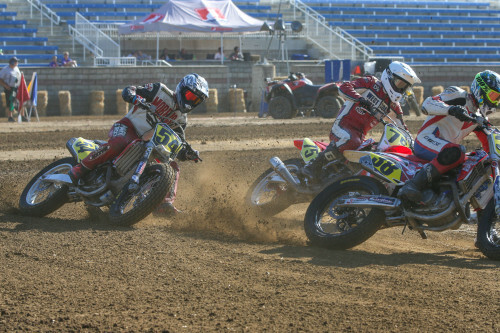 In the AMA Grand National Twins Championship, Johnson's best result was a sixth-place finish at the Sept. 3rd Springfield IL race. He earned an AMA National Hot Shoe podium finish at Barberville, FL. Johnson raced with Parts Unlimited/American Suzuki. 2002 AMA Flat Track Rookie of the Year.